AKD Basic, ismi gibi "KOLAY" bir şekilde uygulamanızın ihtiyaçlarını doğrultusunda programlamanıza imkan verir. 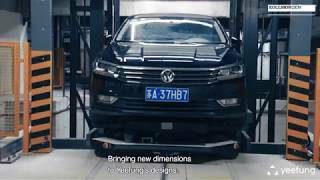 Yeefung, an AGV partner to Kollmorgen, has developed a new generation of their car parking robot. An AGV system is a perfect solution for automated parking in tight areas. 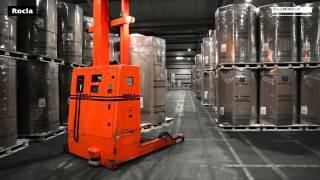 Kollmorgen’s NDC Solutions are at the forefront of the rapidly changing world of logistics and material handling. 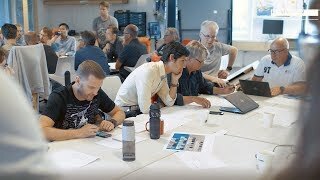 We are part of shaping the future of industry 4.0. By using high-reach AGVs, Ocean East International Logistics decrease their operational cost. The main reason for choosing AGVs instead of a fixed automation solution is flexibility. 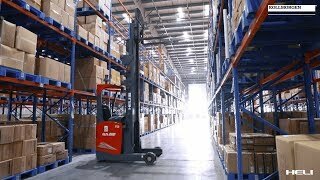 The system could be used in the existing warehouse layout and it can also easily be adapted to future changes in the warehouse. The AGV System at Herlev Hospital in Denmark use Natural Navigation. The AGVs were implemented as a part of an automated system for operating supplies and to ease the workload of the employees. The system optimizes both safety and tidiness. This has increased predictability levels and guarantees a higher level of in-time supplies. 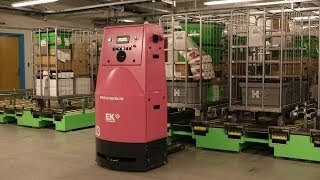 Asti has implemented an AGV system for Philips in Valladolid, Spain, that uses Kollmorgen’s next generation technology. The use of Kollmorgen’s technology allows Phillips to dedicate more focus on their core business of professional lighting. 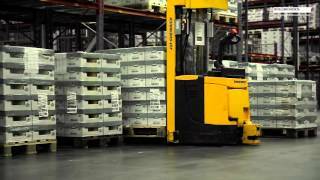 Arla Foods in Götene, Sweden, started their automation journey in 2007 with four AGVs (Automated Guided Vehicles). 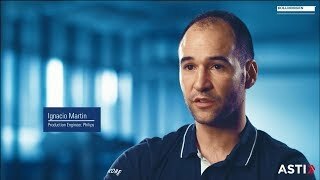 The system has grown over the years, and automation is now a natural part of their production environment. Jungheinrich has delivered the system which is based on Kollmorgen’s AGV controls technology. 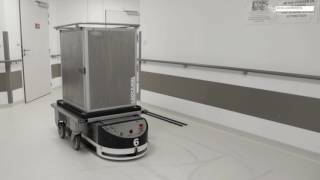 The AGV system at the hospital in Brive-la-Gaillarde has expanded into a new building. The system controls vehicles in the old building using inductive wire navigation and vehicles in the new building using natural navigation. The new navigation technology simplifies the expansion of systems since no changes are needed in the infrastructure. Borealis in Stenungsund, a provider of polyolefin compounds, uses AGVs to minimize operational cost and damage to goods in their production plant. Rocla has delivered the system which is based on Kollmorgen’s AGV controls technology.